Read my personal memoir here. 5.0 out of 5 stars: A must read! 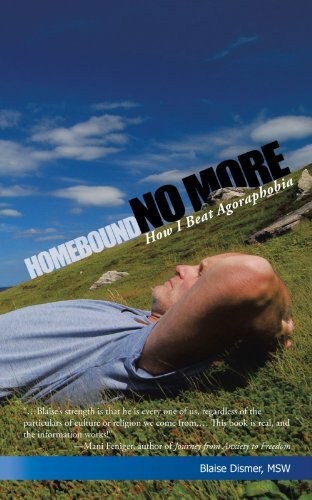 Homebound No More is a must read for anyone who suffers from anxiety disorders. Any family member or friend would find great benefit from reading HNM. Blaise Dismer is an inspiration, a bright light at the end of a very dark tunnel for people who know agoraphobia, anxiety or panic in any form. Bravo, Mr. Dismer!